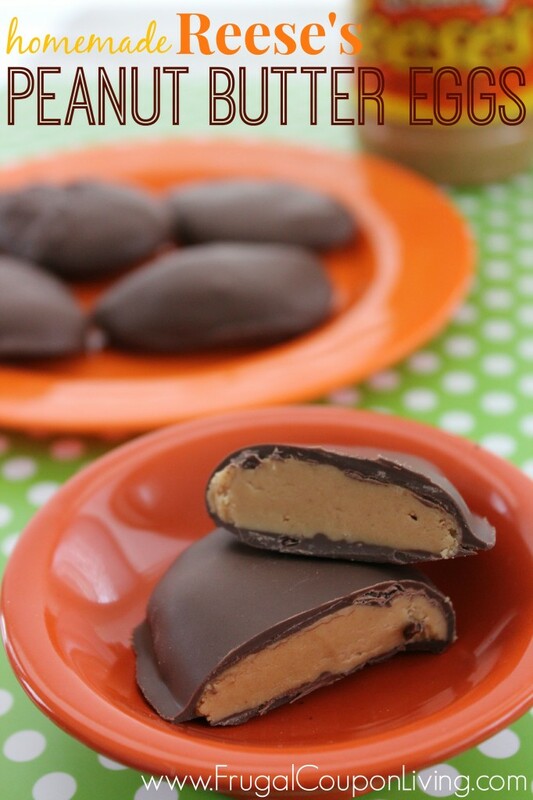 Ready for Easter and want to make a fun little treat – check out these homemade Reese’s Egg Recipe. 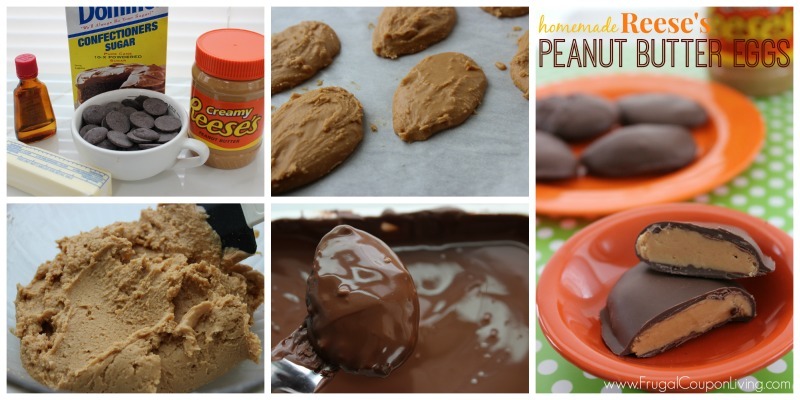 Simple Tutorial for do it yourself chocolate covered peanut butter bites. Add vanilla and powdered sugar amd mix well. Divide mixure into 10 portions and shap into a egg shape. 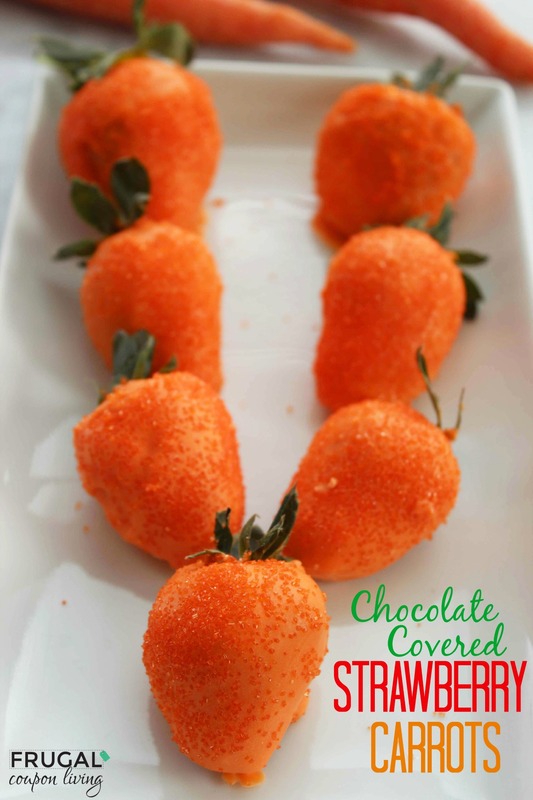 Also check out thish Easter Food Craft – The Easter Chocolate Covered Strawberry Carrots. Pin to Pinterest. These look wonderful! I’ll definitely need to try them. Oohh… I am going to have to try these for my husband. He LOVES reeses so this is a must. 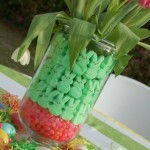 One of our favorite treats at Easter!! 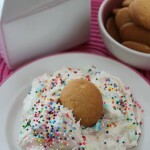 I will certainly be trying this :-) Thanks for sharing at The Mommy Club Link Party! 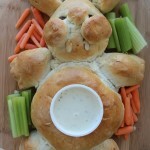 This is very easy and the kids would love it! actually i think my hubby would enjoy it too very much! he loves peanut butter! Oh. My. Goodness. Yes! I gave up reeses eggs last year because of all the weird (aka related to cancer) ingredients! THANK YOU! 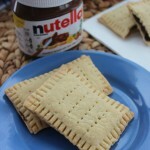 I think the combination of peanut butter and chocolate is the best thing since sliced bread! 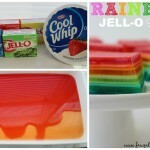 Thank you for linking up again with us at the #WWDParty and sharing this great recipe. Have a wonderful weekend! Love these treats! Thanks for linking up with What’s Cookin’ Wednesday! Great treat that we would love! Thank you so much for sharing this special recipe with Full Plate Thursday and have a fantastic week! These look so yummy—pinned to try soon:) Have a great week. found at full plate thurs. Reece’s peanut butter?! These are seriously legit then! YUM! Pinned! Thank you so much for sharing with Full Plate Thursday today, it is great to have you at the party. Hope you have a very special week and come back soon! Can you use regular chips? The candy melt chips to me have an odd flavor. Do the regular chips set up as well as do the chocolate candy melts? I plan on making these today so I hope you can respond quickly! You can use regular chips too! How many eggs does this recipe making, roughly? About 6 to 8, we liked larger eggs!